Roofing Done Right the First Time, Guaranteed! Musulman Roofing offers Southern California the industry’s widest selection of Class “A” composition shingle roofs, concrete and clay roof tile, roof coatings including Title 24 requirements. Colors, profiles and finishes for both re-roof and new construction, plus a broad spectrum of components designed to work together as a completely integrated roofing system. Customers benefit from our Company’s advanced roofing techniques as well as its expertise in installation of all products. Musulman Roofing uses products and components tested for durability in computer-controlled wind tunnel testing of its roof tiles, as well as testing for resistance to fire, hail and seismic activity as per industry standards. Homeowners can be assured a quality roof constructed by Musulman Roofing will protect your home for decades. GAF Materials Corporation has grown to become North America’s largest manufacturer of residential roofing (sold under the GAF-Elk brand) and commercial roofing (sold under the GAF brand). Professional installers have long preferred the rugged, dependable performance that only a GAF roof can offer, and have made it the #1-selling brand in North America. But our recent and rapid success in growing the company to over $2 billion in annual sales has been based on a unique philosophy of “helping”. Design Your Shingles with the GAF App. CertainTeed Corporation is a leading North American manufacturer of building materials including roofing, vinyl and fiber cement siding, trim, fence, railing, decking, foundations, insulation, gypsum, ceilings, and pipe products. Headquartered in Valley Forge, Pennsylvania, CertainTeed has approximately 7,000 employees and 70 facilities throughout the United States and Canada. Through its Vision, Mission, Values and Objectives (VMVO) initiative, CertainTeed strives to be the preferred choice for innovative building products and systems by delivering a superior Customer experience to a broader market through the development of exceptional team performance and world-class processes. Design your Shingles with the CertainTeed ColorView App. Since Owens Corning invented glass fiber during the 1970s, it has become the material standard for shingles, and is used by most shingle manufacturers. The fiberglass composition of roof shingles plays an important role in protecting homes from moisture and other weather-related elements. We take great pride in our roofing shingles and accessories and we believe that we have a great deal of responsibility to homeowners. That’s why we make sure every Owens Corning shingle meets your high expectations. Every shingle we make combines consistent quality with long-lasting beauty and maximum protection. Performance is at the heart of every Owens Corning roofing product. Malarkey Roofing Products, family owned and operated since 1956, has focused on having the most innovative products and the best customer service in the roofing industry. These values have contributed to our success for more than 50 years, and allow us to keep our commitment to stand by our products and warranties for the long haul. TAMKO has manufactured a full line of quality roofing products for over 60 years. 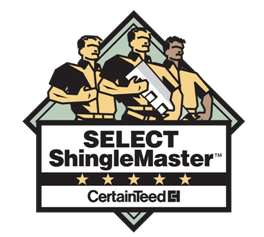 Today, our dedication to roofing and relentless quality improvement continues to make our shingles the finest available. And regardless of size, shape, color, or material, TAMKO shingles are proven strong and are always an attractive choice. Boral Concrete Tile (formerly Monier Life Tile) is the greenest roofing product on the planet and it has been that way since we started making it. With the longevity of our parent companies, we are the oldest and most experienced concrete roof tile manufacturer in the U.S.
Eagle Roofing Products is a Division of Burlingame Industries, a California based privately held, family-owned organization that has been in the tile industry for over 40 years. From these family roots, our business philosophy and vision have blossomed. Eagle began operations in the fall of 1989 with one high-pressure concrete tile extrusion machine. Today, Eagle’s Rialto, California facility is the largest in North America. Auburn concrete roof tiles are uniquely designed to simulate the beauty found in nature. With our smaller tile size, handcrafted leading edge, and wide range of colors available in standard and light weight. Durable, long lasting, class A fire rated. Add value and elegance to your home with the Old World look of Auburn Tile. Boral US Title (Formerly Boral Roofing Company) authentic clay roofing products are unsurpassed in beauty, durability, performance and environmental friendliness. Featuring the most complete line of styles and colors, from traditional Mission Tile to ProShake and ProSlate, US Tile has the product and style you are looking for, all backed by a lifetime warranty that includes no-fade coverage for 20 years. Redland Clay Tile is from the heart of the land. Naturally this ideal befits the name, because the clay of every two-piece Redland tile is truly of the earth. A harmonious union with the very land that helped create it. Historically, clay tile was formed by hand. As a result, personality was always a part of the handmade process. A process that is perfectly imperfect, with pleasurable variations in color, texture and shape that identifies a bond between the craftsperson and the craft itself. Whether you are an architect, designer, roofing contractor, or homeowner, the information you need to select the roofing tile for your next project is here. You’ll find a showcase on each of our major product lines and color charts to help in your roof design. APOC is the commercial roofing division of Gardner Industries and has been successfully working with facility managers, building owners and property managers since the 1960s. Our extensive research and development, technical expertise and dedication to our customers have afforded APOC with the industry reputation as “The Roof Restoration Experts.” We share this expertise with our customers, allowing them to make an informed and educated decision regarding their individual needs. Tropical Roofing products is a national manufacturer of quality roofing products and innovative solutions for the professional roofer. In the business for over 50 years, you could say we wrote the book when it comes to roofing products. Since its inception, Western Colloid has been recognized in the roofing industry as a leader in Fluid Applied Roofing, Reflective Coating Systems and Premium Asphalt Sealcoats. Our founder began applying coatings and fluid applied systems in the 1960’s. Throughout the West notable companies like Boeing, Weyerhaeuser, Fred Meyers, TRW, Certified Grocers, Payless, Thrifty Drug and others received asphalt emulsion systems from his team. He soon became the largest fluid applied roofing contractor in the Western United States. Solar Star, the leader in solar powered attic ventilation, brings you the most technologically-advanced, environmentally-friendly, ventilation solution today. Best of all, Solar Star brings you the solutions that cost nothing to operate. Imagine the savings. By placing the unit where it is most effective, the highest point on the roof, it can properly circulate air and ventilate your attic space, transforming your home into a comfortable living environment. Powered by Solar Star’s proprietary 10-watt solar panel, this breakthrough product has been designed to last season after season. Let our roofing experts answer your questions and provide you with an estimate. Musulman Roofing is a Factory certified Master Elite GAF Roofing Contractor and a CertainTeed Select Shingle Master Contractor. These certifications represent that we are fully licensed in California, a proven reputation, committed to continuing our education and services, have the highest standards of excellence, quality and knowledge in the roofing industry.